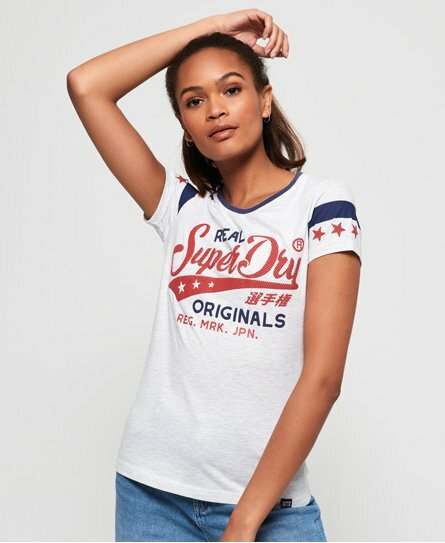 Superdry women's Real Originals Airtex t-shirt. This soft-touch t-shirt features a contrasting neckline, a textured Superdry graphic across the front and textured stars on the sleeves. The Real Originals Airtex t-shirt is completed with a Superdry logo tab on the hem and stripe design on the sleeves.